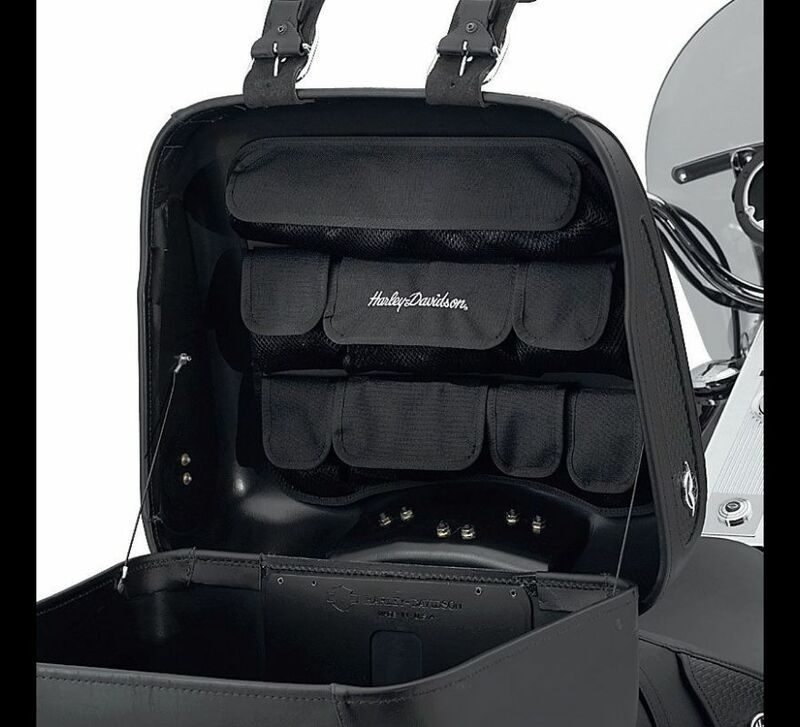 A true innovation in storage convenience and efficiency, this ingenious lid organizer helps keep smaller items conveniently located under your Tour-Pak® lid for easy access. 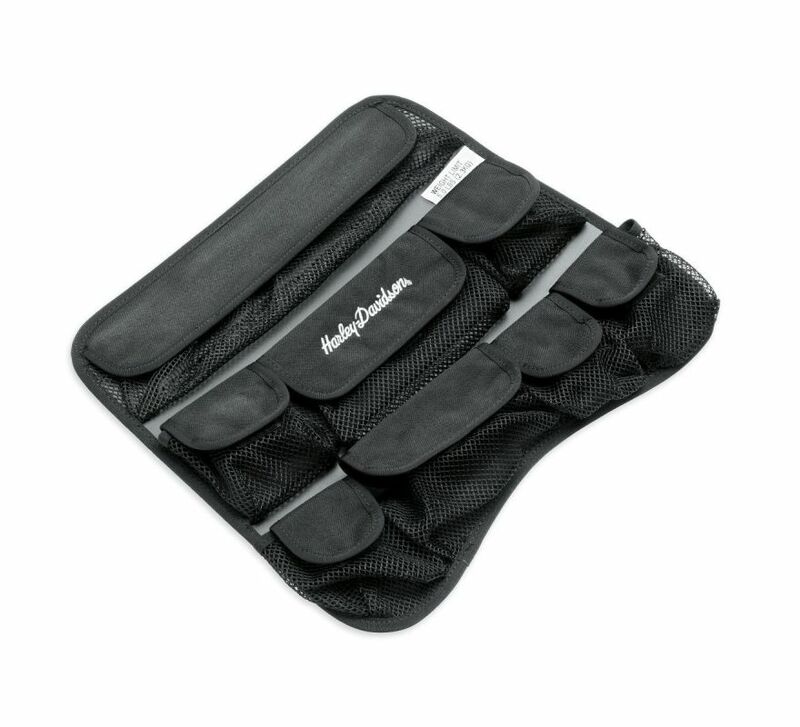 The organizer features five different-sized nylon-meshed pockets, as well as two flaps for additional storage. Fits '96-'13 XL, Softail® and Touring models equipped with Leather or Synthetic Leather Tour-Pak® luggage (except P/N 79189-06). 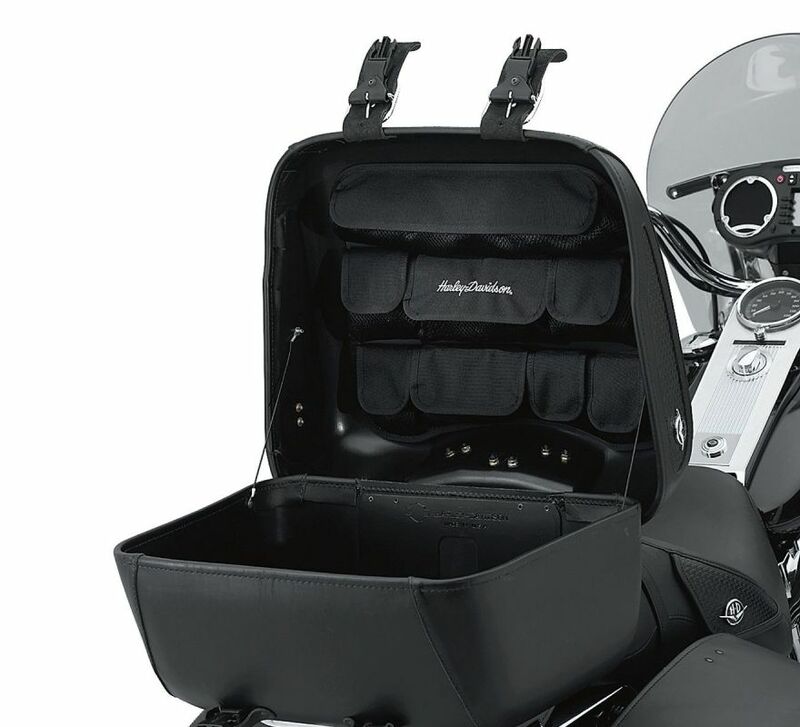 Does not fit with Tour-Pak® Luggage Racks, Interior Light Kits or Lock Kits.